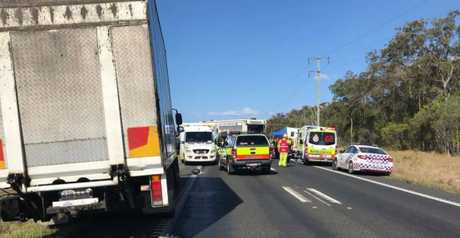 UPDATE | 3.30pm: AN eight-year-old girl and a man have died in a horror crash on the Bruce Hwy this afternoon. 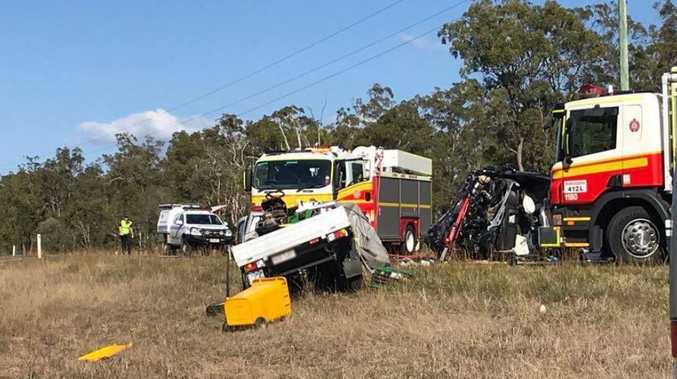 About 1.20pm emergency services responded to reports of a serious head-on collision 5km south of Childers. Two RACQ Lifeflight Rescue helicopters were dispatched from Bundaberg and the Sunshine Coast respectively and arrived on scene shortly after. Queensland Police Service said both an eight-year-old girl and a man were pronounced dead at the scene. A Bundaberg Ambulance spokesman said the man, who's age has yet to be confirmed, was travelling south in a ute. The eight-year-old girl, as well as a 50-year-old woman and an 11-year-old girl, was a passenger in the other car, understood to be travelling north. Both the 50-year-old woman and the 11-year-old girl are in a serious condition but have suffered non-life-threatening injuries. They have been airlifted to Sunshine Coast University Hospital. The Bruce Highway is closed near Ross Camp Rd in both directions and traffic is being diverted. UPDATE | 2.43pm: CLAYTON'S Towing has posted on Facebook that the Bruce Hwy is closed in both directions 5kms south of Childers. Traffic is being diverted through Aerodrome Rd and is slow moving. 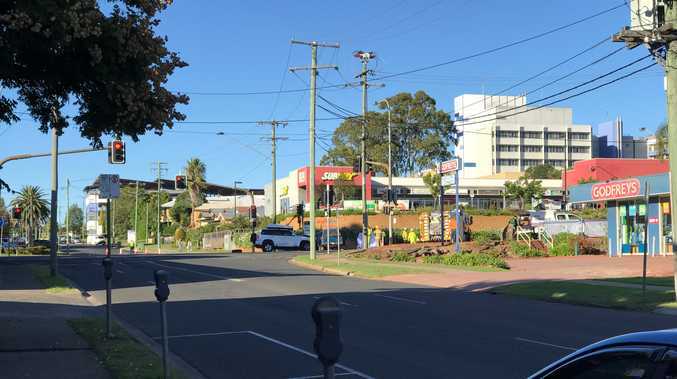 A Queensland Ambulance spokesperson told The Courier Mail a child was among those critically injured. There are currently two rescue helicopters at the scene of the collision, south of Childers, on the Bruce Hwy. It is believed at least one person is trapped in a car. The QAS spokesman said one man and one woman were in critical conditions. The two in serious conditions are both women. BREAKING 1.30PM: EMERGENCY service crews are on their way to reports of a car roll over on the Bruce Hwy. It is believed that two cars collided on the highway, south of Childers near Ross Camp Rd.